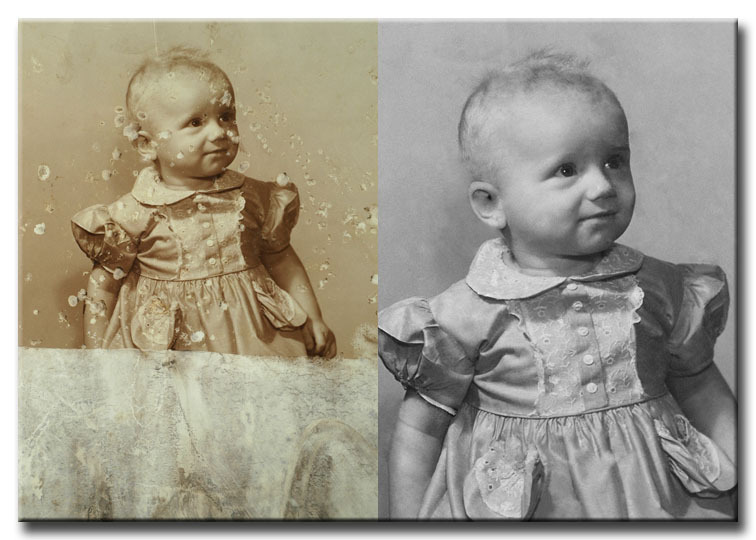 I've only dabbled in restoration work but do find it interesting. The photo below is one of my early efforts. The original was quite large, probably 16x20, and that helped considerably. 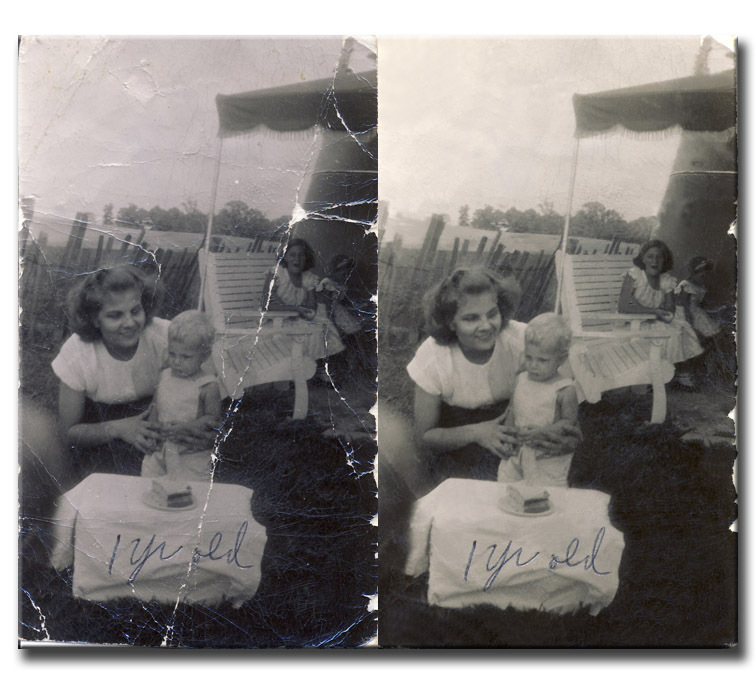 On the other hand, the photo had been in a flood, the paper was brittle and cracked, the photo was folded several times for storage the upper right hand portion of the photo was completely torn away and was just laid in place for the project. This photo was part of the same group. It was more difficult to fix than the photo above because so many parts had been torn away when the photo was stuck to others while wet from the flood. 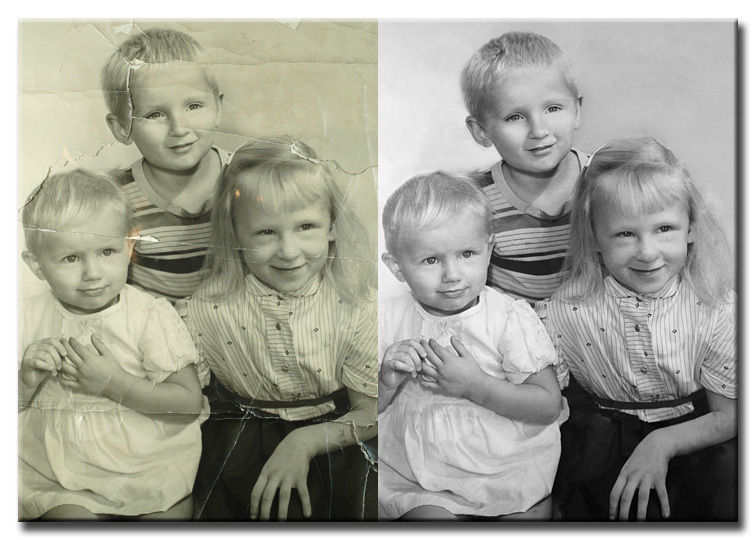 It was only possible to save a portion of the photo, but luckily the most important part was salvagable. This one was partially restored -- leaving some of the edges rough. The original was small, only 2" X 3.5" and there wasn't much detail to save. However, the restored version is still an improvement over the original. 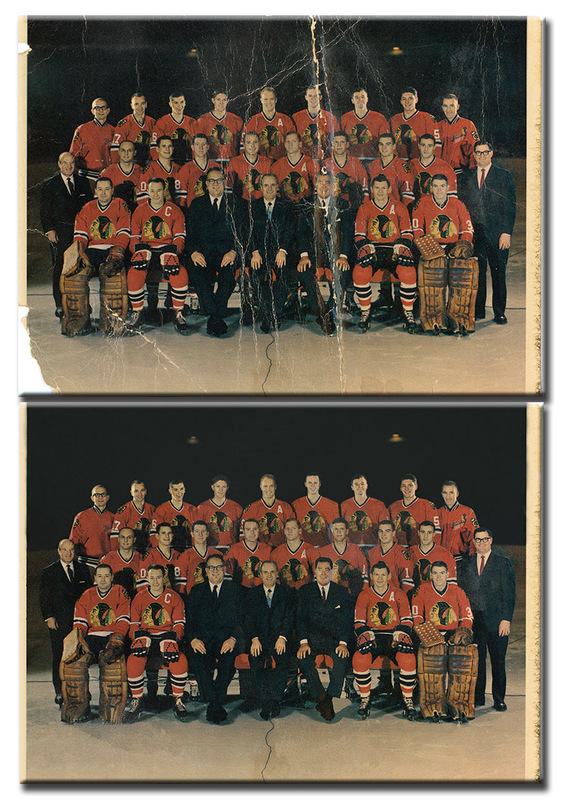 The original photo of the 1966 Chicago Blackhawks from the past was 5.25 X 7.25 and appears to have originally appeared in a newspaper.